The Faculty Association of the University of Waterloo (UW) won the battle to maintain a culture of diversity and inclusion on campus. The Laurier Society for Open Inquiry cancelled an event featuring white nationalists on Thursday morning. The event featured both Faith Goldy, a former The Rebel Media commentator who was let go after appearing on a white nationalist podcast and Dr. Ricardo Duchesne from the University of New Brunswick, the author of Canada in Decay: Mass Immigration, Diversity, and the Ethnocide of Euro-Canadians. It was scheduled for Monday evening in the Theatre of the Arts. Tolson and FAUW members posted on the organization’s blog encouraging people to protest the event, give to a GoFundMe campaign, or buy a ticket to speak against Goldy and Duchesne on April 23. “I think that kind rhetoric can turn out to be harmful to marginalized groups. I’m not part of that marginalized group so I’ve never experienced that myself, but I think I certainly understand that that exists and that kind of rhetoric can be harmful,” Tolson said. Lindsay Sheperd, president of the Laurier Society for Open Inquiry Tweeted and posted on their Facebook group that the event was cancelled after the University of Waterloo dramatically increased security costs for the event. “Yesterday we were informed by the University of Waterloo that the security and police cost for this event would be $28,500, instead of the original sum of $1,400-1,600. It appears as if an unanticipated ‘community response,’ is the reason for this price hike, as well as the recent tragic events in Toronto. We were hoping the University of Waterloo would prove itself to be an institution that allows for free discourse on campus. While not being security experts, we cannot judge how justified UW’s security concerns are; but we feel that such a dramatic increase in security costs shortly before an event is indeed unjustified,” she said. More than 1,000 people signed the petition to stop the event on Change.org and more than $12,000 was raised in two days for Shatitsirótha’, the Waterloo Indigenous Student Centre, the Black Association for Student Expression, and the Collective Movement Award, a scholarship for UW students who volunteer and contribute to the school’s black, African and Caribbean communities. 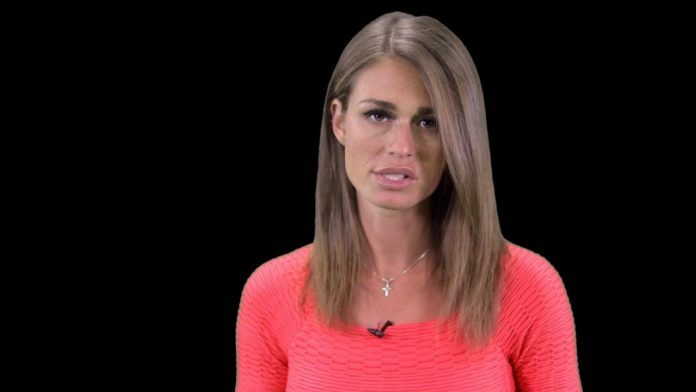 Faith Goldy tweeted in response to the cancellation Thursday morning. “If your campus is hosting an anti-white(ness) event, please flag! If it’s in Ontario — I’ll be there! If elsewhere — I want to help share your footage (with credit). Time to expose these Marxists & their poisonous theories,” she said. Tolson said he was glad the event was cancelled. “Because, I mean if you care about our community and every member on this campus and the multicultural nature of our little ecosystem, you should care you whether you like the place you are at or you don’t,” he said. The Laurier group’s Facebook post encouraged supporters to protest as well. “Do whatever you can to support free discourse on Canadian campuses. The silent majority must speak up. Either we stand up for our rights now or watch them be curbed until the last speck of freedom is gone,” it said. Goldy was scheduled to speak at Laurier on March 20, but after a massive outcry from students, faculty and staff the event was cancelled. Hidden curriculum or Unconscious Curriculum?